The gap between the employed and the unemployed is growing and this division will cause serious problems for society. 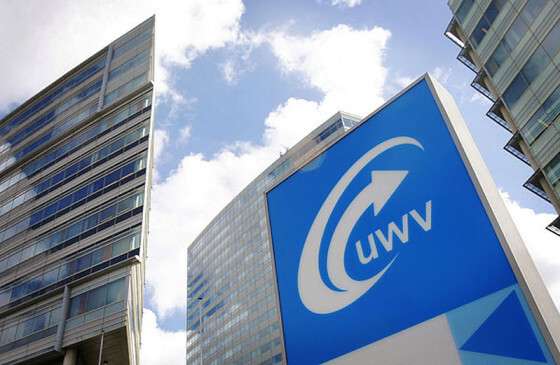 It’s time for a new social contract, writes former CNV union boss Doekle Terpstra. The unemployment rate is down but not in a way that might be called significant. The CBS calculated that in April some 2,000 people found work. The total unemployment figure now stands at 6.4%, or 572,000. The economy is recovering but unemployment is still at double the number compared to the eve of the crisis in 2008. Recent research has shown that government employment measures are only minimally effective. The national audit office reports that €266m has been spent on creating employment for people over 50 but that the effects have been unclear. All in all hundreds of millions of euros have been spent on similar types of job creation and stimulation. The general expectation was that the economic recovery would solve the problem. That doesn’t appear to be the case. On the contrary, it is becoming more entrenched. Those with a good education will find their place in an ever more demanding labour market. There is a big shortage of skilled workers, like technicians. But for the hundreds of thousands of people with a greater distance to the labour market prospects are grim. The dream of an inclusive society (the ‘participation society’) is more elusive than ever. The gap between those who have a permanent contract or a small business and those who can’t manage to achieve either is growing and this will have a divisive effect on society. The approach to solving unemployment is stuck in a rut and needs to be revised. Politicians don’t seem worried enough to put the inclusive society on the agenda. But they should be. It’s time for a new social contract, a new balance between economic and social interests. To continue to put our faith in the current approach and the institutions that go with it is not an option. It would be natural to call upon the social partners – unions and employers – to work together and draw up a future-proof social agenda. A new social contract could bolster their credibility but it takes courage to leave the trodden path. I have my doubts about the innovative power of the consensus economy and the discussion will have to take place elsewhere. The partners in this discussion will have to be prestigious economists, entrepreneurs, workers and a commission of wise men. It’s time to roll up our sleeves and prepare a social contract for a new cabinet. Make individual regions – public administrators, employers, unions – responsible for the creation of their own inclusive labour market. Central government will transfer funds to the regions. Develop and facilitate the concept of a home service industry. A shift from care provision to service industry would create employment for people at the lower qualified end of the job market. Encourage self-employment but combat excesses in low paid work and limit the social security risks. That means fixed contracts become less fixed and flexible work less flexible. Facilitate the exchange of staff between sectors on a regional level. Create a regional labour agreement. Create the necessary regional training. Promote life-long learning opportunities so people can adapt their skills to the demands of the labour market. Recognise the power of informal learning. A company has a role to play in society and therefore it has a duty to be inclusive. That means they must offer employment to people who have an impairment and ethnic minorities. Put the basic income on the agenda, or some form of negative income tax so that those who are structurally and long-term unable to participate still have a viable financial basis.